This is an old family favorite from my recipe box. However, the original recipe left out some measurements. No real guidance on the noodles, cheese, or oregano, so my updated version is below. This is one recipe that comes out perfect every time. And my kids eat it. That has to tell you something! I frequently use ground turkey in place of the ground beef to make it a bit healthier. But I probably add more than 2 cups of cheese, so the fat and calories probably all balance out in the end. Preheat oven to 375. Brown and drain ground beef. Combine with pizza sauce. Cook noodles and drain. Add milk and egg. 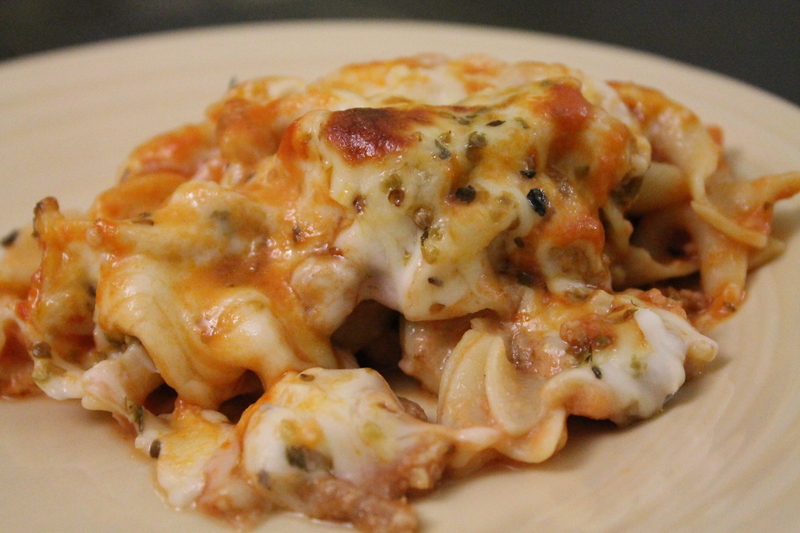 Layer noodles and meat sauce in a greased 9×13 dish. Cover with cheese and sprinkle with oregano. Bake for 30 minutes.. This entry was posted in Uncategorized and tagged casserole, dinner, ground beef, pasta. Bookmark the permalink.